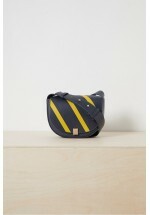 The Claudia Striped Blocked Cross Body Bag is a stylish accessory perfect for everyday wear. 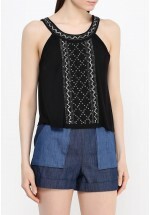 The hal..
An amazing bang on-trend sleeveless and cropped top for the summer available in black. Heavily embel.. This black & white sleeveless stretch-cotton strappy dress has a gently-scooped neckline and con..
Cosy up in the Ebba Vhari High Neck Jumper. The super soft knit has an oversized fit emphasised by d..
description Oversized high neck knit Fabric: warm, soft, thick, knitted Batwing long s.. 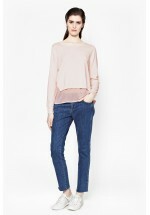 The Edna Collarless Shirt is given a contemporary edge with a graphic Fil de Coupe texture. It has a..
Sleeveless fit & flare dress with horizontal black and white thin, subtle stripes. High neckline..